Creating remarkable content is a struggle in itself. SEO guru Rand Fashkin calls it "10X content", because remarkable content is 10 times better than anything else that can be found in the search engine results. It needs to address the problems of your target audience, answer their questions and meet their needs. But that’s only half the battle. After all, what use is remarkable content if it doesn’t get read? Without well-targeted PPC and SEO campaigns working in tandem to promote your content, you’ll be hard-pressed to reach a wider audience than just your social followers. Google’s Search and Display Networks can open the floodgates to so many more potential buyers. PESO content is content that combines the four modern communications channels. 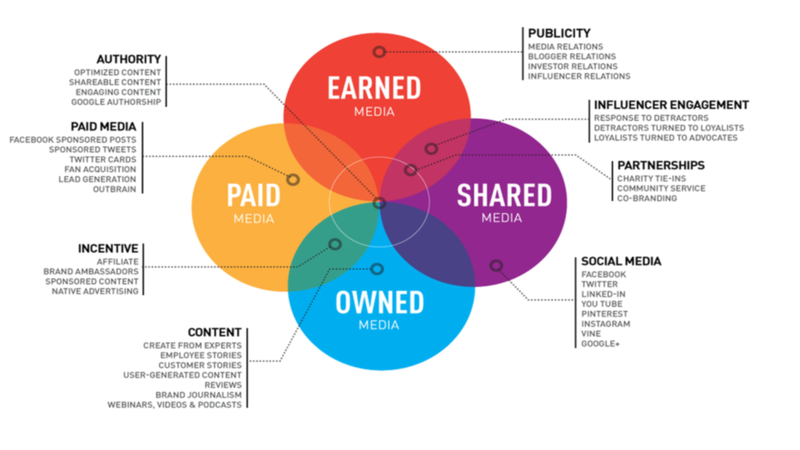 It makes use of four types of media: paid, earned, shared and owned. Owned media is the content you produce, shared media is what is shared on social networks, earned media is PR mentions and paid media is paid advertising. This type of content is also engaging, shareable, optimised and picked up by Google. It's only possible to create PESO content when PPC, SEO and content are fused together into one cohesive inbound marketing plan. 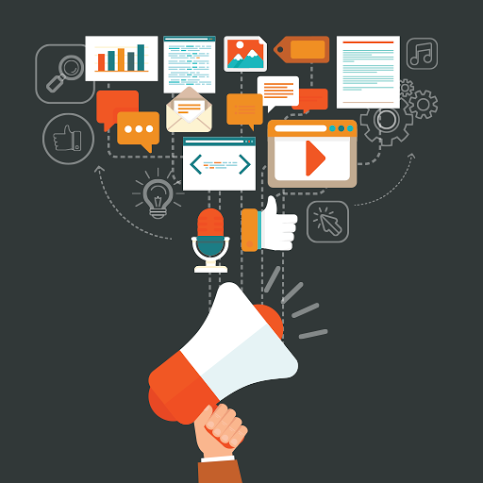 Visibility should be the primary concern of any content marketer. Investing in remarkable content is only worthwhile if it gets found by your buyer persona targets. The majority of your online customers will use search engines and relevant publications to find information, products or services they need. It goes without saying that your buyers’ search habits should directly inform your target keywords and therefore your content. Making sure your PPC, SEO and content efforts work together makes your inbound strategy methodical and streamlined. It also ensures your content is discovered by your target audience; the ones most likely to find it lovable and relevant. Google rewards those advertisers and content producers who conform to the searcher’s intent, basing its rankings on metrics like clickthrough, bounce and conversion rates. When your keywords, copy and content is geared around the questions, challenges and objectives of your buyer personas, your quality score, cost-per-click (and ultimately cost-per-conversion) will improve. Traditionally speaking, PPC campaigns were for the bottom of the sales funnel -- when people were ready to buy. Marketers used SEO to gain more visibility to those closer at the top of the sales funnel, since SEO is less costly. As SEO requires more time, however, PPC has become an extremely effective channel for promoting your content to buyers as it is published. It is then the role of your landing pages and content to persuade and impress your visitors, keeping your cost-per-conversion down. On the Search Network, as people turn to Google search for solutions and answers at the awareness and consideration phases, PPC has become a valuable channel for promoting your content to buyers at the top of the funnel. Likewise on the Display Network, more and more digital content is being produced and consumed than ever before. By targeting relevant publisher sites and content related to yours, you can promote your content to your ideal buyer persona targets. Running a PPC campaign means doubling the data you can collect and analyse in a short space of time. Whereas SEO is a slow-burning, long-game tactic, PPC provides instant results. That’s why PPC makes such an effective testing platform. Use AdWords to experiment with small budgets and find out which of your keywords are most effective in garnering both clicks and conversions. Keep going until you find your sweet spot, so you know the direction in which your SEO and content should go. Look at clickthrough rates, bounce rates and conversions (the same metrics that Google uses) and compare them across different keywords and content. Let them inform your strategy moving forward. Providing great user experience is key when it comes to optimising your campaigns, landing pages and content; your AdWords data speaks volumes on the level of value you’re providing your visitors, leads and customers as they move along through the buyer’s journey. In an ideal world, you should be running PPC campaigns to cover all bases: Search Ads for active searchers, display ads for passive targets across two billion websites and remarketing former visitors. If you only run one PPC campaign, however, make it a remarketing one. Remarketing campaigns see the highest engagement levels, they keep your brand fresh in people’s minds and they bring people back to your site. Only with remarketing is it possible to directly target previous visitors to your site and move them down through the sales funnel. It’s not just your website visitors you will want to hit with remarketing ads, but also people further down the sales funnel. Just because someone has become a lead or a customer, there is no reason to stop reminding them of your brand and delighting them with new content; this is what brings them to purchase, repurchase and spread the word about your company. Want to know the next big moves in digital and inbound marketing? Download our eBook on the 5 unmissable trends for 2016.